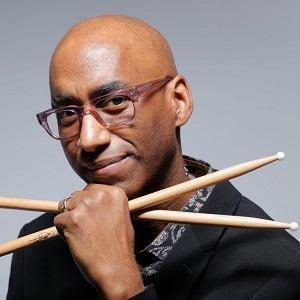 Jazz drummer known for working with such artists as Mariah Carey, Weather Report and Daft Punk. His first solo album "Rhythm Deep" received a Grammy nomination in 1990. He became a professional drummer when he was ten as a member of his father's band, Hasan and the Nomads. He attended Fiorello H. LaGuardia High School of Music & Art and Performing Arts. He was Sting's first drummer when he left the Police and went solo in 1984. He recorded two albums with Sting and was featured in Sting's rockumentary Bring on the Night. His father Hasan Hakim, also known as Alphonso King, was a trombonist who performed alongside such legendary musicians as Duke Ellington, Count Basie and Louis Armstrong. He has performed with pop singer/songwriter Carly Simon.